How to use it to lose weight? 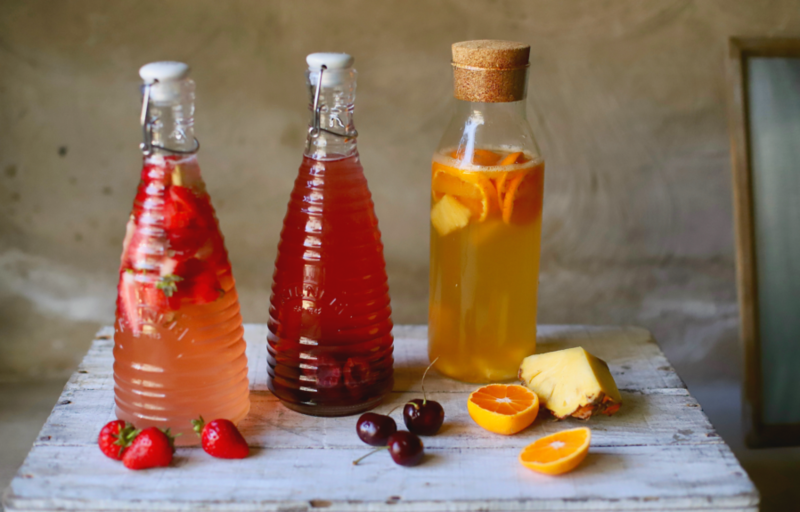 What is water kefir and why is it good for you? 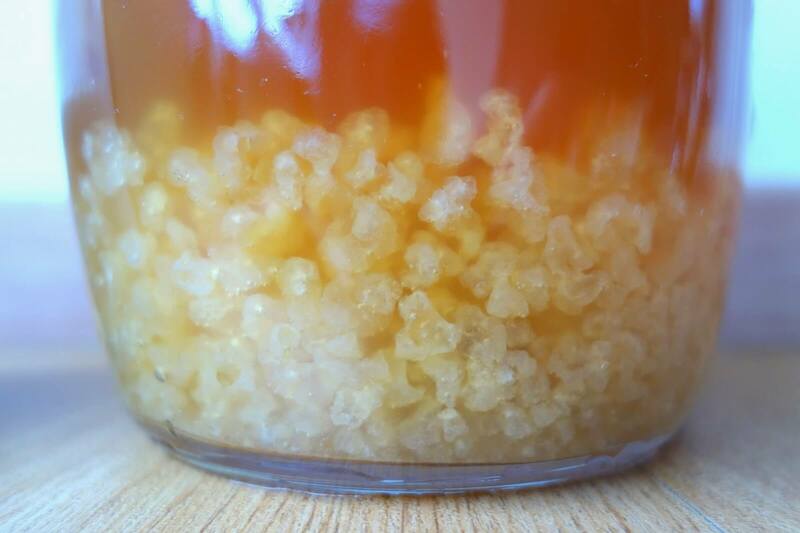 Where to buy kefir grains? Conclusion: Water kefir is an essential component of any diet. 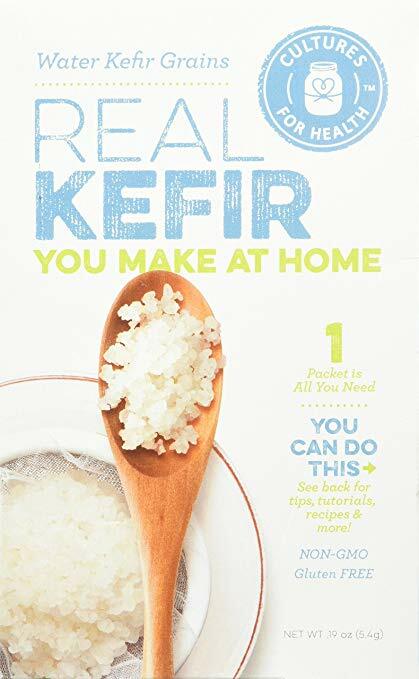 It’s not a secret that kefir is very nutritious. It’s also an essential one if you want to decrease calorie intake. This fermented probiotic product is rich in vitamins, enzymes, and good bacteria. Accordingly, it is beneficial when you are on a diet. 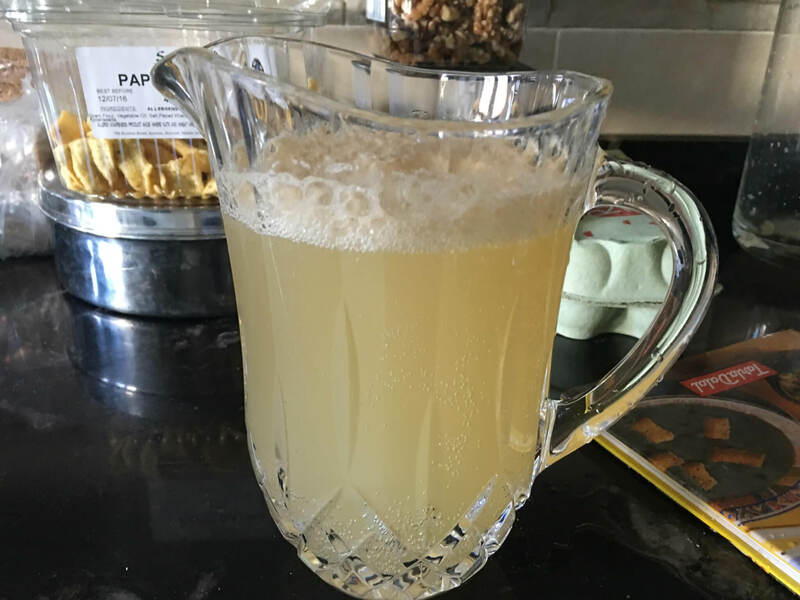 Using water kefir grains, you can easily make and store this beverage with different flavors at home for daily drinking. It’s simple and cheap, low in sugar and calories. There are possibilities of improving your body using this fermented dairy product. The first one is a pure diet. However, one should be careful in this case. 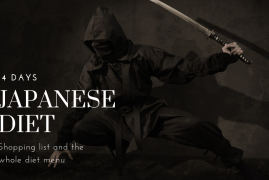 As any mono-diet, this one is rigorous. It’s better to have a so-called fasting day approximately once a week, drinking kefir or kefir-based fizzy probiotics. Depending on your targets, feelings and original microflora content. It’s a well-known fact that this beverage is rich in probiotics. Some people even practice eating its grains to maximize the probiotic effect. They consider that this amount of probiotics will ensure weight loss. 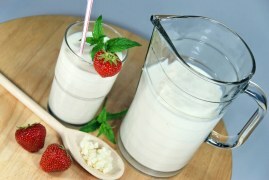 A more desirable option is to make kefir a useful supplement of any diet. Water kefir is widely used as the main component of different fruit desserts and ice-creams, non-dairy smoothies; it can be a perfect base for salad dressings. Flavored stuff can replace sugared soda and juices in your menu. The main difference between other fermented food and our titular product is that the subject of our article has a unique combination of bacteria and yeasts. There are two main types of it which are brewed using kind of milk, or it can be totally dairy free. We are interested in the last one. Particular grains or crystals are fermented on the base of sweet water or juice. It has high nutritional value. One 300-milliliter portion of this fermented beverage contains 40 calories, 9.9 grams of carbohydrates, and 5.1 grams of sugar. This drink is also an excellent source of vitamins B, K, and C. Its amino acids, minerals, enzymes, and sugars are easily digested. This is a useful bonus to a low-calorie diet. It’s irreplaceable for a vegan’s daily meal which excludes dairy products. An excellent source of vitamin B12. It contributes to feeling better, stress-resistance and brain activity. The other B group vitamins in this drink, especially B1 recovers the nervous and beneficially affects the cardiovascular system. B1 participates in the fat burning process. This probiotic beverage is made with water and some sugar. Of course some sweeteners, fruit juice can be added to taste. If you are on a diet and trying to limit sugar intake, you should not be scared of this sugar quantity. By following a straightforward procedure, we can prepare a healthy, probiotic and calorie-burning drink. First of all, you have to get some grains. Being the starter, these grains are pure cultures to brew the final liquid product. You can easily order them Amazon. This product is also known as Japanese Water Crystals. Starter grains you obtain are hydrated, so your first step will be to wet them. It’s simple. Prepare the sugar water. We recommend taking some hot water to dissolve the portion of sugar. The tip is to heat only as much water as you need to dissolve the sugar and then mix the syrup with colder water to receive room temperature solution. It really speeds up the process since you don’t have to wait for it to cool off. Another important thing is water quality. It’s highly recommended using clean, filtered water because chlorine and other chemicals can influence the fermentation process and kill bacteria. Do not use honey. Because of its antimicrobial properties, the process of fermentation can be much longer, or even the bacteria can be spoiled. Try to avoid dark colored ingredients to be added to the first brewing stage. The grains can become dark too. In case you are going to make just a pause in fermentation, or you are leaving for a definite time for traveling, you can keep wet grains in sugar water in a closed jar in the fridge. After you are back home and ready to proceed with probiotic drinks just drain the grains and start again back at the level of the first fermentation. Sometimes you only have a small number of gains to produce enough. In this case, you need to increase the number of cultures. Dissolve 2 tablespoons of sugar in 2 glasses or cups of warm water. Be sure that the temperature is not hot and not cold. Put the grains into the water and leave them for 3-4 days. The jar should be closed by fermentation cover or just with the cloth. The volume of cultures will be multiplied (grown). The most standard version of the water kefir “recipe” is quite simple. A big glass jar for fermentation (1 liter and more depending on the quantity you are going to prepare). Some top flip bottles of your choice. 1. Take a jar or any other special container for liquid. Dissolve 2 tablespoons of sugar in one liter of warm water. Stir with the plastic or wooden device like knife or spoon until sugar dissolves. Put the grains into sugar water and leave for a day or two. The activity of the brewing process depends on water and room temperature, quality of grains, etc. The warmer the home is, the faster it will brew. The period of the first fermentation is over. It would be better if you strained the grains, rinse them by water. The wet grains can be used again and again. It’s ready to drink after the first fermentation. At this stage, it’s possible to add to sugar water some raisins, dried apricots, or prunes or ginger depending on the availability and personal preferences. Half of the lemon will bring a new taste as well. 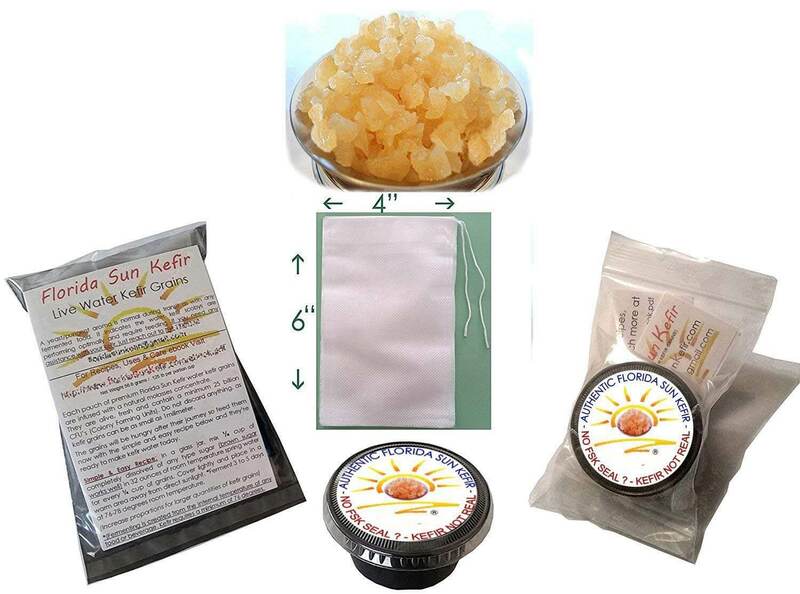 Dried rosehip will enrich the drink by extra vitamin C and pleasant flavor. Add some fruit juice of your choice and mix it gently. It can be cherry, orange or any other fluid. Put this liquid mixture into the bottles. Pour it slowly to fill in the bottle to avoid extra pressure and aeration. Leave the closed container for twenty-four hours at room temperature. Then it can be kept in the fridge. 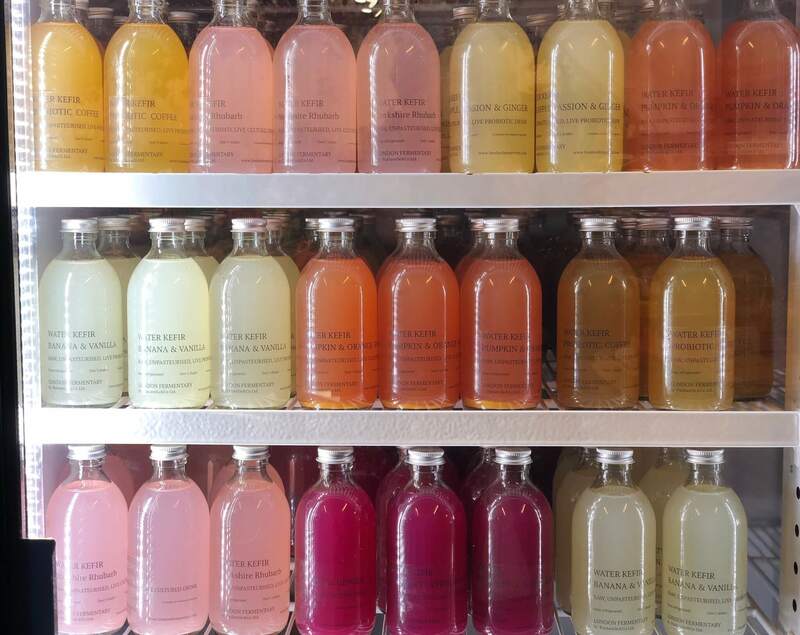 Now you can enjoy your amazing fizzy and healthy drink. You can play with taste by adding different ingredients and flavors while it’s still fizzy. Apple with cinnamon. It’s the classic combination for the second fermentation. Add apple slices and cinnamon sticks to the jar with strained liquid, then close and leave overnight in the room. Orange with vanilla. Add orange zest and juice with a few drops of vanilla extract. It also works. Blueberries and basil. Add mashed berries and some basil leaves. Cranberries with cinnamon. Mash berries with a cinnamon stick. Lemon or lime, mint, rosemary. Juice and herbs are added by the standard second fermentation scheme. 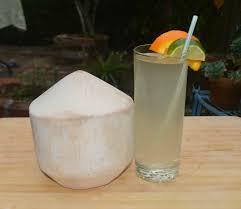 If you still scared of sugar in products, we advise you to try with kefir based on coconut water. The process is also simple and easy. Any sugar is not required. As a result, the final taste will be slightly sour. Before the second fermentation or fizzing add some lemon juice and ginger to your taste into the bottle. You can additionally sweeten it with honey or some sugar. It’s possible to use some honey at this stage of preparation because there no danger for bacteria to be damaged. As it’s is not just water but a fermented the probiotic beverage containing friendly bacteria and yeasts it has a particular influence on our organism. Start slowly. Depending on your peculiarities it is better to start with small portions and then increases the quantity. In the beginning, it is advisable to use some tablespoons per day as a test. If there are no any adverse reactions, you can drink about half of cup on the next days. As usual, people do not have any side effects, but sometimes stomach or gut discomfort could be felt. In this case, it’s better to decrease the drinking portion or even stop taking it for a definite time. Listen to yourself, do not ignore any unpleasant results. Especially if people have a weak immune system, it could take a long time for them to adjust to this product in any dosage. It’s difficult to say about the exact validity. Depending on the ingredients which were used for flavoring the terms are different. The plain kefir based on sugar water only is quite good within two months. 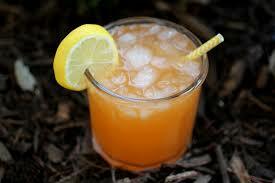 Using pineapple and citrus additions for fermentation decrease the storage up to less than three weeks. It’s better to keep it refrigerated. Usually, the probiotic drink is continuously fermenting. The process is just slower when it is colder and vice versa. Where did water kefir originate from? These grains or sometimes they are known like beer seeds, Japanese water crystals, Japanese beer seeds, sea rice, Sugary Fungus, Vinegar bees, etc. are living organisms. Sometimes they are slower and sometimes faster, depending on the circumstances they are under. They survived over thousands of years. It originated from the Caucasus Mountains, and in Turkish, it means good feeling and were considered as God’s gift. So they have the ability of constant regeneration. To support grain’s vitality, it‘s required to feed them at least every 48 hours. They need to be strained and put rinsed and then put into fresh sugar water or any other feeding base. During the hot summertime, this procedure could be done every 24 hours. Perfect tool to burn the calories. Being fermented probiotic drink, it has the variety of benefits improving our health. The liquid is free of gluten, caffeine and is not dairy one having a low level of sugar. Filled with vitamins, enzymes, microelements it brings good bacteria to our body. It’s budget friendly and available. Simple in self-preparation at home. Buy the Water Kefir Grains once, and you’ll get a permanent source for a variety of nourishing and beneficial beverages and desserts. You can add it to smoothies, ice creams or just use it as a dressing for plenty of salads recipes. Start with a small portion of water kefir listen to yourself, step by step increase consumption, play with tastes and enjoy your healthy life!